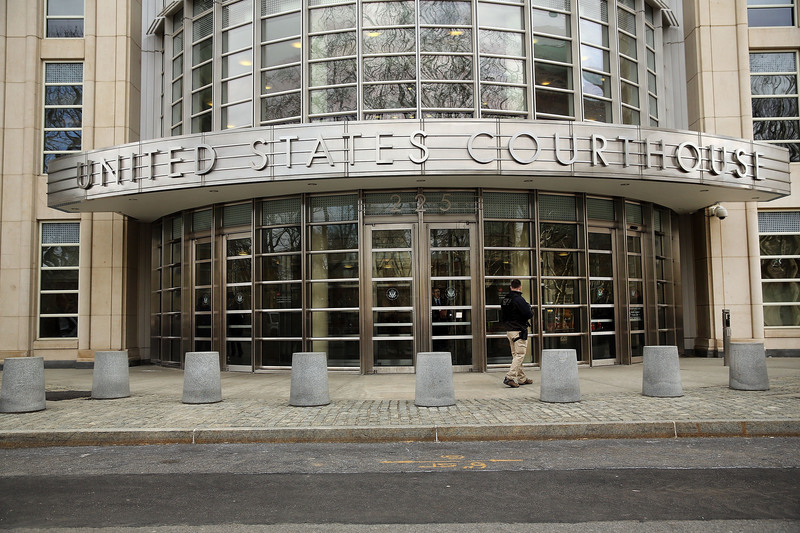 Get ready, New York City — after years of debate about whether to try Al Qaeda-linked terrorism suspects in civilian courtrooms, one such trial is upon us. The man in question is Sulaiman Abu Ghaith, the 48-year-old a son-in-law of Osama bin Laden now facing charges of conspiring to kill Americans. Abu Ghaith is not suspected of plotting the 9/11 attacks, nor of having advance knowledge of the event. But he's thought to be a close, trusted aide of bin Laden, and in the weeks and in the months following Sept. 11, Abu Ghaith allegedly praised the attacks and made repeated, threatening statements about further acts of mass violence. Abu Ghaith is thought to be the highest-ranking member of Al-Qaeda to be tried on American soil since 9/11, and faces life in prison if convicted of the three charges. It's also believed by prosecutors that Abu Ghaith knew of the infamous 2002 attempted shoe-bombing, in which English-born terrorist Richard Reid tried and failed to blow up an international flight from Paris to Miami. Prosecutors are also seeking the barring of any courtroom discussion of a number of topics they consider prejudicial and "potentially inflammatory." Specifically the detention facility at Guantanamo Bay; NSA surveillance; drone warfare; and international CIA black sites. Presumably, their fear is that a prospective juror would feel so strongly about America's actions on those fronts that it could bias them against siding with the prosecution. Abu Ghaith's lead lawyer, Stanley L. Cohen, told the New York Times in response that the motion was questionable. To try a terrorism case and to think it can be sanitized to remove what are not just linchpins in the so-called war on terrorism but reality for many people — some of whom may be witnesses in this case — is fantasy. But perhaps the most curious, controversial and seemingly risky aspect of Abu Ghaith's defense strategy could happen at the witness stand. Abu Ghaith's lawyers asked a federal judge Tuesday to allow Khalid Shaikh Mohammed — the man widely thought to have masterminded the 9/11 attacks, currently held at Guantanamo Bay — to testify, supposedly to Abu Ghaith's benefit. Cohen claims that testimony by Mohammed "would certainly be relevant to the defense of this case, and may very well exculpate Sulaiman Abu Ghaith entirely." Understandably, the judge involved will probably question how, regardless of whatever Mohammed says, this could possibly work in Abu Ghaith's favor. How likely is it that an American jury, however impartial and due-process minded, will see the self-professed mastermind of the 9/11 attacks as an effective defense witness?